For patients in the Raleigh metro area with dental implant needs, Dr. Tom Cooke is here to help. To schedule an appointment, call our office at (919) 872-1700. Dental implants are one of several options of tooth replacement after you experience a tooth extraction or loss. Dental implants are for individuals who are in good health and have lots of jaw bone in which to place the implant. A patient that is lacking in jaw bone may be a candidate for bone grafting, a procedure that builds up areas that are lacking in bone. Dental implant crowns usually consist of three parts. 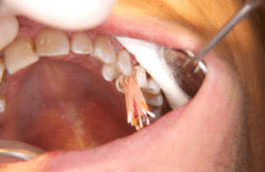 The root anchor of the tooth implant. During dental implant surgery, this piece is placed in the area where the original tooth root was; it is similar in size to the original root. After this is placed a process called osteointegration occurs where the jaw bone around the root anchor fills in and supports the anchor. The abutment. This piece is screwed into the root anchor. It is the piece that the implant crown gets cemented over. The implant crown. This is the covering that the patient sees above the gum line. This crown is usually tooth colored and is made to look like a tooth. When Are Tooth Implants Used? If you are missing a tooth and the surrounding teeth are healthy, then you should consider a tooth implant. 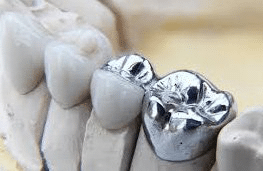 Another other option would be a dental fixed bridge; this would require cutting the healthy adjacent teeth down for crowns which is not the best option. 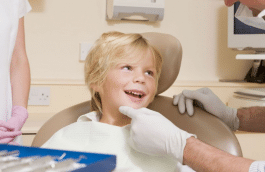 If you are missing the last tooth in the back of your mouth you would not be able get the fixed bridge. You could get a removable partial, but a dental implant would still be your best option. 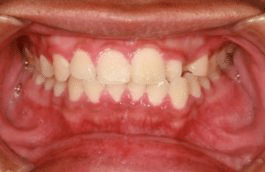 Dental Implants or Fixed Bridges? When considering your options of either getting a dental implant or a bridge, a few points should be understood. An implant takes longer than a bridge. An implant usually takes at least 3 months to heal prior to getting the implant crown in place. 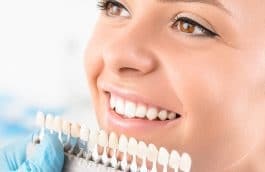 Sometimes the implant crown is placed over the implant right away in some dental offices, but there is a much larger risk taken with this fast dental implant procedure. When selecting a fixed bridge, you must be willing to have the adjacent teeth cut down to allow for the bridge to attach to them. If all your teeth are healthy, it is better not to have your adjacent teeth reduced if you have the option of a dental implant. If a dental bridge ever has a problem with any of its parts the entire bridge must be removed. This requires multiple teeth to be worked on. 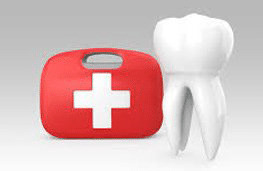 If the problem area was a tooth implant, only the implant would need to be worked on. It is more difficult to clean a fixed bridge than a tooth implant. Flossing under a fixed bridge is very necessary to properly care for it. This takes much more effort than flossing around a single implant. 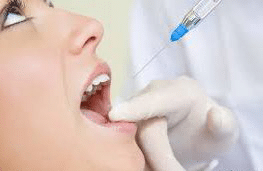 Patients that have diabetes, immune deficiencies, smoking habits, and certain chronic drug habits are not good candidates for a dental implant procedure. These conditions all share the potential for a dental implant procedure to fail due to the lack of proper healing potential. Diabetes can create major health problems in the oral cavity which decreases the success rate of implants. 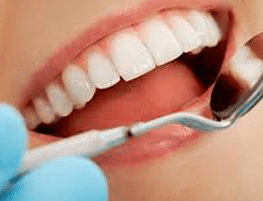 Patients that smoke, drink alcohol excessively, or have a substance abuse problems all have a low success rate with tooth implants due to how these situations allow for poor oral health. Have questions about dental implants? Dr. Cooke has been performing dental implant surgery on patients in Raleigh, NC since 1993. Make an appointment with him by calling 919-872-1700. Or learn more about our practice.